Midwest Refineries LLC – Place Where You Can Sell Your Gold For Cash! Midwest Refineries LLC is one of America’s oldest gold scrap recovery Companies that has been in the business since 1939. 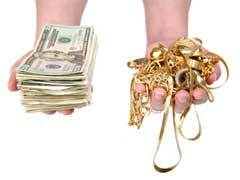 The company deals with a large network of dentist offices, pawn shops, jewelers and general public. Midwest Refineries LLC offers a wide assortment of services, including precious metals refining, assaying and smeltering services.